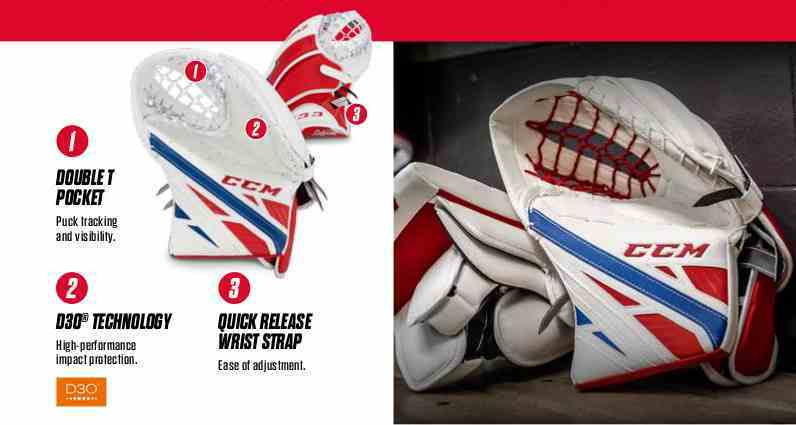 Hockey & Goalie Equipment News Boston & Cambridge MA | Sports Etc. E-flex 4 Pro Leg Pads– The new E-Flex 4 pushes the limits of design while providing the competitive advantage of foot speed and seal to the ice. E-Flex 4 Pro Catch Glove- Ultimate combination of playability and feel, the new E-Flex 4 catch glove is meticulously engineered and handcrafted to a game ready feel. 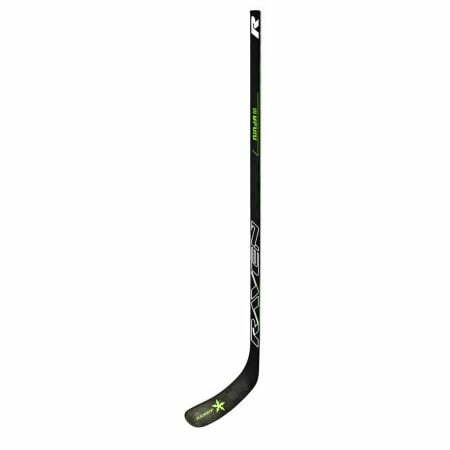 E-Flex 4 Pro Blocker– The new E-flex 4 blocker transfers puck energy to propel it to the corner and it has a balanced, lightweight design to control rebounds. 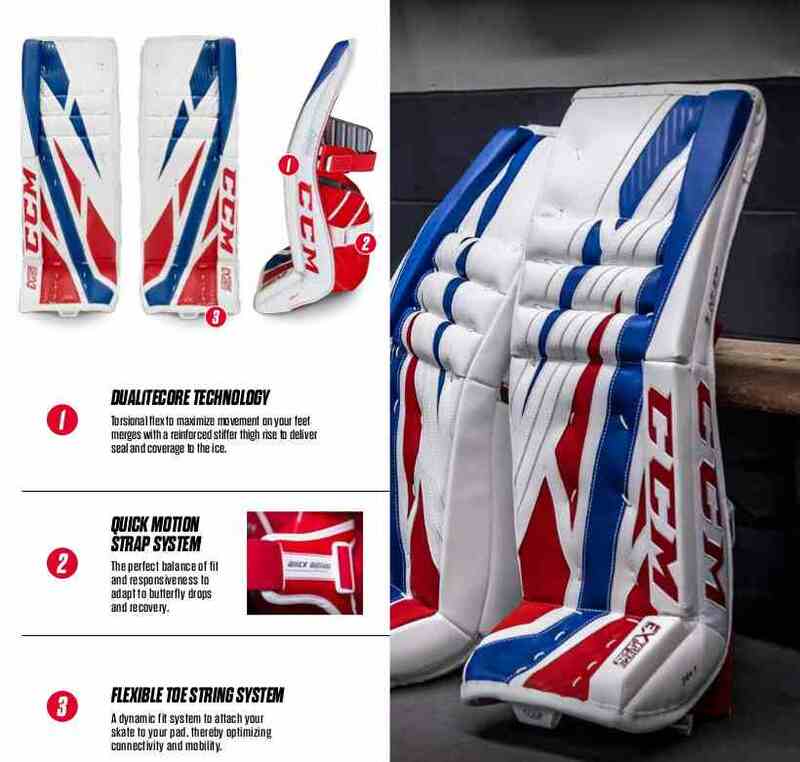 CCM E-Flex 4 Pro goalie gear is scheduled to hit the shelves in late April 2019! Coming April 26, 2019! The newest skate in the Jetspeed line has undergone some significant changes. 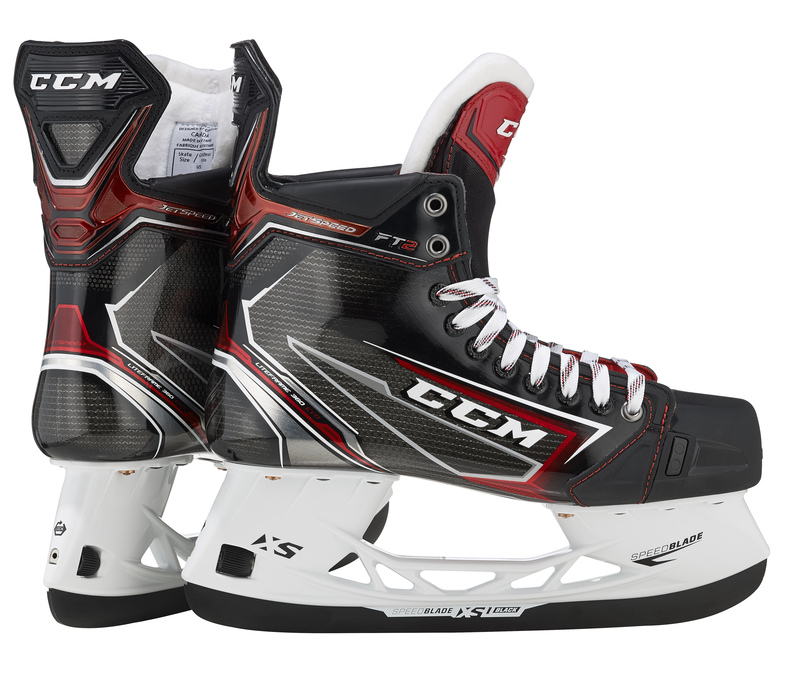 Most notably, the CCM Jetspeed FT2 has an enhanced one-piece boot, SpeedBlade XS quick-release holder and SpeedBlade XS1 Black (+2mm) steel. The LiteFrame 360 EVO is a significant upgrade from the previous generation FT1. The seamless one-piece boot contains no outsole, stitching or glue, which creates a high energy transfer zone essentially becoming a natural extension of the skaters foot. The SpeedBlade XS holder was developed as a quick, easy-to-use system to swap blades out on the fly. The BladeLock technology consists of a positive-lock mechanism that improves on “spring-lock” systems. The holder prevents blades from loosening or accidentally disconnecting from the holder. The SpeedBlade XS Black (+2mm) steel is a premium oxide blade that holds a longer edge with higher resistance to corrosion. 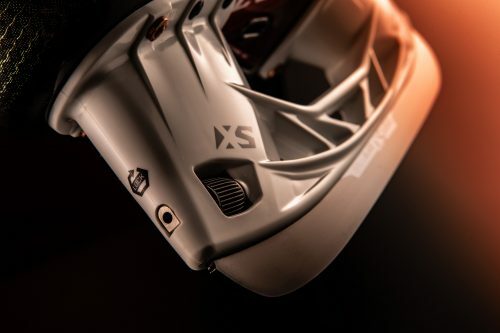 The 12% additional height over standard blades allows for tighter turns and performance. Sports Etc Performance-to-Value Rating: 10 out of 10. 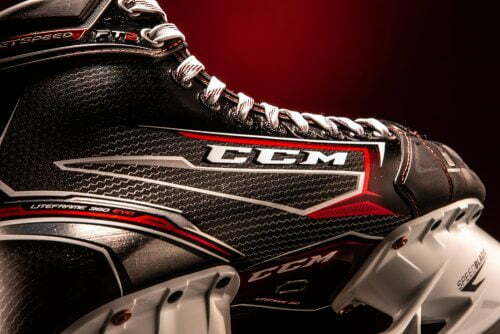 CCM now offers the only true one-piece boot on the market, and adds to it a high performance steel and a quick-release holder that allows players to change steel on the fly. 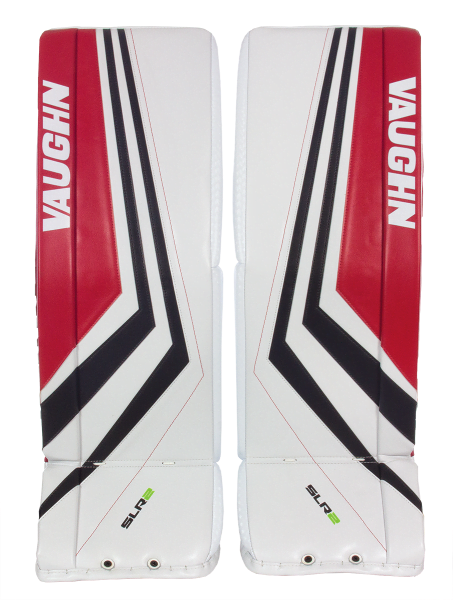 The latest generation of the ultra popular Brian’s G-Netik family of goalie gear is here! 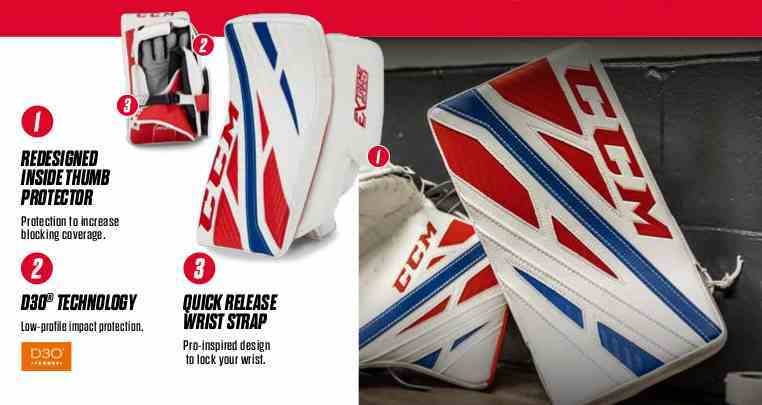 While remaining true to the G-Netik concept of softer, more “traditional flex, the new pads add the feature of more torsional flex than any other Brian’s model. Add to that all the modern features you’ve come to expect from Brian’s like simplified Smart Straps and Smart Cord boot strapping. Create New Goals With The CCM Ribcor Trigger 3D! 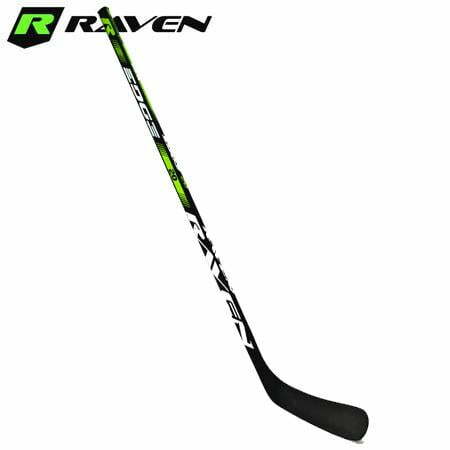 Introducing Bauer Supreme 2S Pro Stick- Welcome To Boomtown! SuperDeker Advanced Training System Available Now! \SuperDeker is here! The most exciting, interactive, and fun off-ice training tool to come along in years is now available at Sports Etc. The SuperDeker Training System is great fun for all ages. The system helps keep skills fresh and also helps players of all ages develop new skills with the 3 different game modes- Training, Hot Shot, & Speed Passing. Stop by the new Sports Etc Stick Cellar to experience SuperDeker for yourself! If you’ve played hockey for any length of time you’ve come to the conclusion that, while there are many skates to choose from, finding the perfect fit is not always a simple task. That’s no longer an issue. With major leaps forward in 3D imaging and 3D printers, getting a pair of perfectly fit custom skates has never been easier. 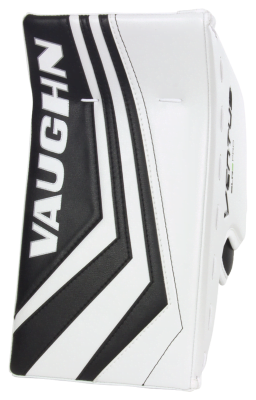 True/VH has been offering custom skates to consumers longer than anyone else. Utilizing a 3D scan of each foot via iPad and scanner, a 3D model of your foot is made and the skates are built around them. Each pair is made by hand to your specifications in Winnipeg, Ontario. 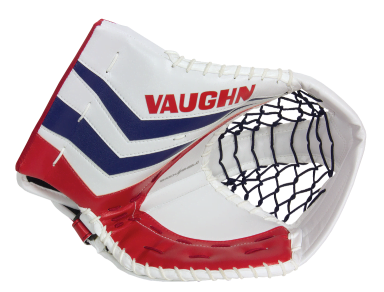 A real favorite among players and, in particular, goalies. Earlier in 2018, CCM leaped into the fray. The methodology is similar to TRUE with a major difference being both feet are scanned at the same time and the scan also includes the bottoms of the feet. Much like TRUE, a full custom skate option is available. The game changer with CCM is the ability to get scanned and have a set of stock CCM Tacks AS1 (player or goalie) custom pressure molded to the 3D model at the factory. When the skates arrive, they are ready to go. This is the fastest, most straightforward path to custom fit skates. 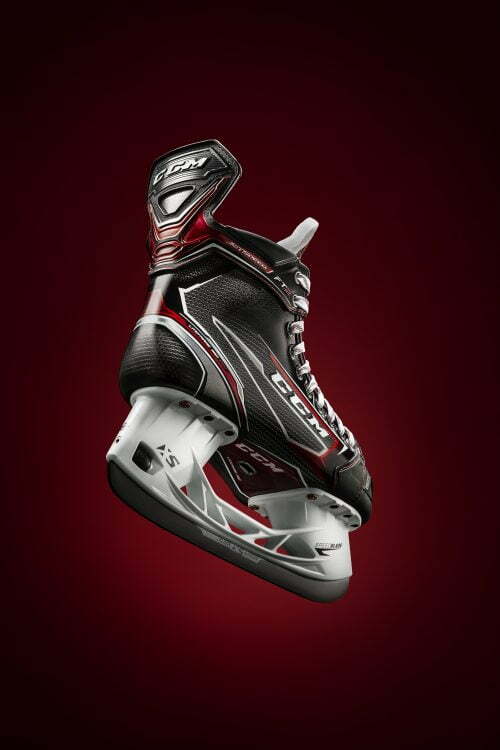 Most recently, Bauer added the ability to use their existing 3D Skate Lab technology to allow customers to order full custom skates. With the MyBauer custom skate you get scanned, choose your skate family, then customize from there with your choice of tongue, facings, lining, and steel. You even get to add your name and # to the tongue. So there is no need to suffer through sore feet anymore. Call or stop in and let one of our custom skate experts review your choices and walk you through the whole process from scanning to skates! Hi Jeremy, Yes, there will be an E-Flex 4.9. It should be posted on our website later today. Thanks! will there be a eflex 4.9? posted in Sports Etc Learn-To-Play Youth Hockey Starter Package!